I love quinces. 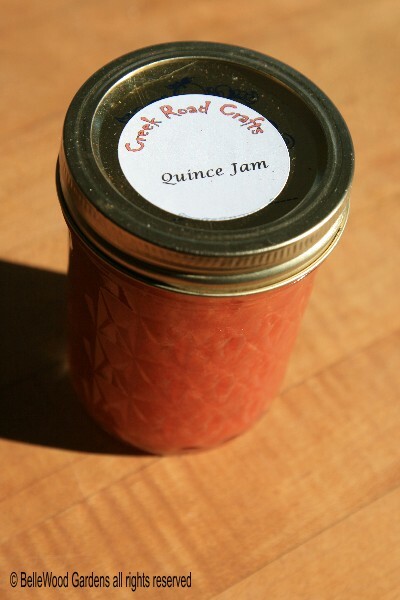 Love the way they smell, the way they look, the way they taste, the preserves they make up into. What I don't like is how expensive they've become when I do find quinces at the supermarket. This year they're priced at $2 apiece. In days of old people might grow a quince tree in their backyard. 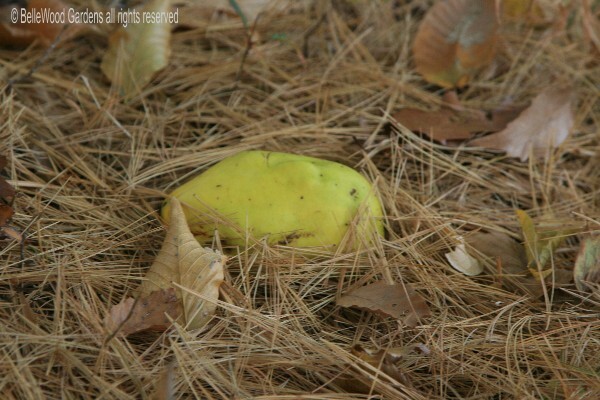 After all, how many quinces does one need? Unlike peaches, pears, or apples, it's not like you'd want an orchard of them. If I don't want to pay for them, I need to go foraging for quinces. And I know just where to look. A basket with my foraged quinces. There's this arboretum here in New Jersey that has a couple of Chinese quince trees, Pseudocydonia chinensis. I'd be there to give a lecture to a garden club to which I belong. Having foraged there previously I asked the director if I was good to go again. Yes, she said, except they had used most of the quinces for a cooking with quince program. Be discreet, and I could have what I found. So after my talk on patterns of nature off I went, bag in hand, trying to look nochalant rather than furtive. And lucky me, I found four lovely large Chinese quince. Ample for making my preserves. Chaenomeles japonica. Grown for its flowers, the small fruits are also suitable for making preserves. And then there's the supersized Chinese quince, which is what I am seeking out / foraging for its fruit. 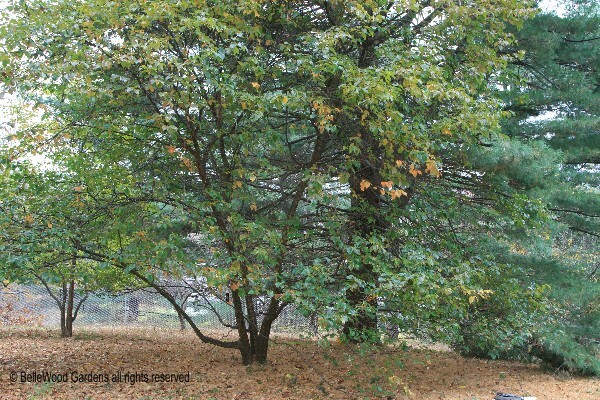 by this point in mid-November many other trees have not merely turned color, but dropped their leaves. The RHS Index of Garden Plants refers to it as deciduous to semi-evergreen. Clearly the latter case. off the tree doesn't seem to harm them. I do think they're best if I wait until after a frost, like persimmons. 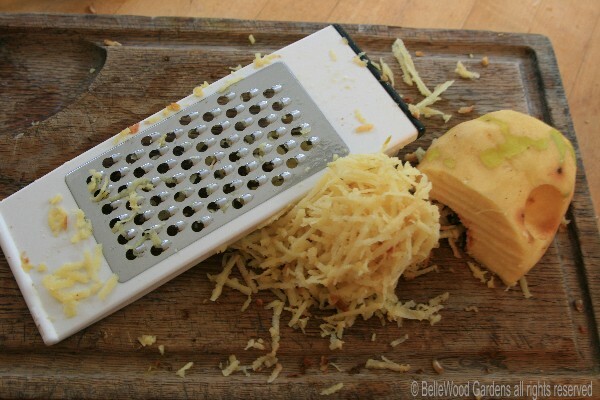 I've started processing two - peeled, split in half and cored. 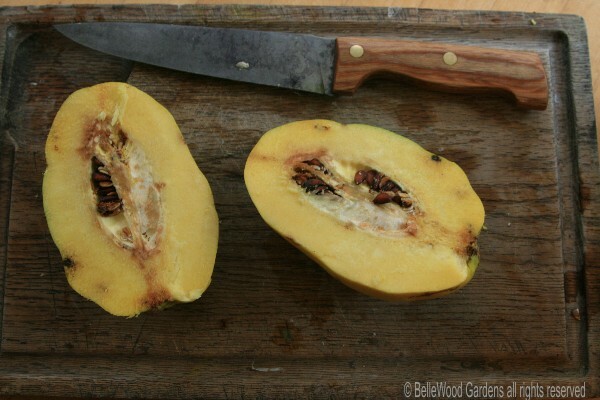 Peel, core, seeds and all, simmered in water to extract pectin. 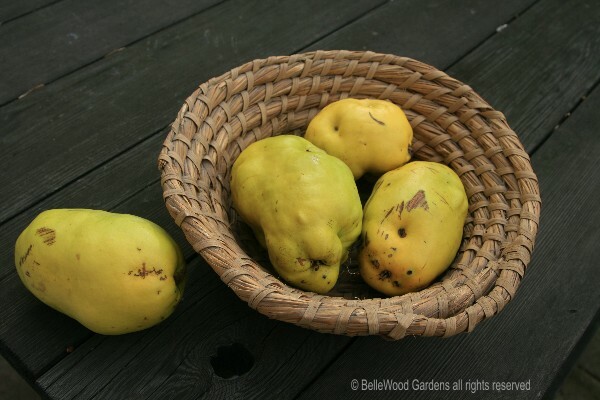 Quinces themselves shredded and started cooking in apple cider. Lovely preserves! Soon I'll start on processing the other two quinces. and 2 ounces of ginger, finely diced, that I'd put up in syrup. Quite nice, if I do say so myself.